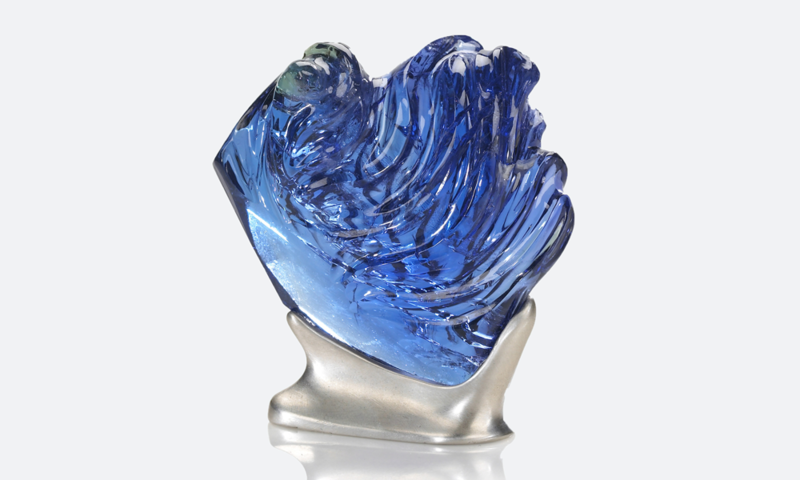 The 725 ct, L’Heure Bleu is the world’s largest, top-color, natural, unheated tanzanite carving. This extraordinary carving was awarded First Place in Gem Carving from the American Gem Trade Association and was created to benefit the Maasai people of Tanzania. Their ancestral lands are the world’s only location of the unique blue-violet tanzanite gem. All profits from the sale of this spectacular carving will aid in providing fundamental needs to a wonderful Tanzanian community. As an established world class award winning gem carver, Naomi was invited to carve a piece of tanzanite for an international competition and for the benefit of the Maasai. She traveled to Tanzania, visited a mine, and picked this piece herself. While there, she spent time with the Maasai women, teaching them how to make jewelry with tumbled gems. This community is very poor; they have no electricity, no running water, and little access to basic needs such as eye glasses or pencils. The purchase of this magnificent piece, for $500,000 USD, also includes a First Class trip to Tanzania, a deluxe safari, an exclusive meeting with the Maasai and a tour of a tanzanite mine, for four very lucky people.